April – Please note the meeting printed on your card has been cancelled..
Saturday 5 May Half-day coach outing to Farleigh Hungerford – coach leaves, Old Station Car Park (behind Key Markets and Tesco) at 1 pm. Friday 18_May Evening meeting – meet at Sutton Bingham. church at 6.30 pm. Saturday 16 June Half-day coach outing to Edington and Westbury – coach leaves Old Station Car Park at 1 pm. Saturday 14 July Afternoon meeting – meet at Hunters Lodge at 2.15 Pm for the Mendip Hills, led by Mr R.G.Gilson (Some walking involved). Saturday 4 August Half-day coach outing to Fyne Court, Broomfield – coach leaves Old Station Car Park at 1 pm. (Some walking involved). A Friday in August Evening meeting – meet at Halstock -the date will be announced later – to coincide with excavation work in progress. Saturday 1 September Afternoon meeting for an expedition in Dorset led by Mrs Colberd – place of assembly and time to be announced later – the last of the summer excursions. 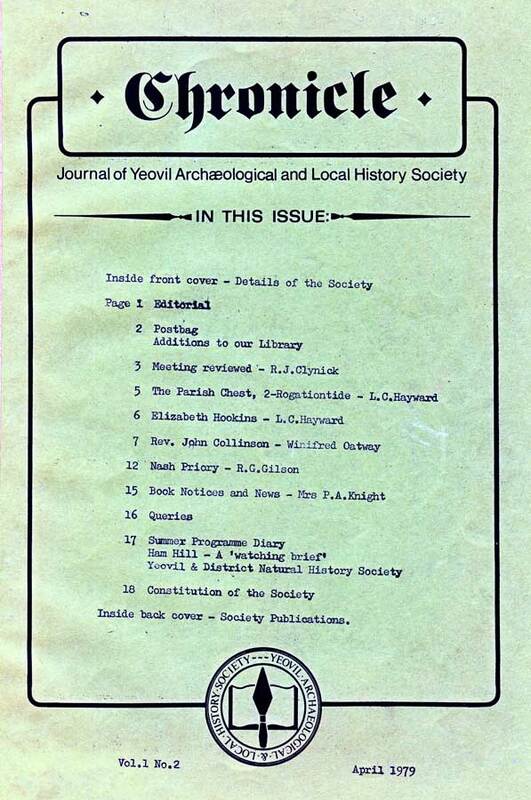 ANNUAL GENERAL MEETING at Yeovil Reference Library, 7.30 sharp on Friday evening 5th October. Speaker to be announced later. The archaeology of this site is again under potential threat due to quarrying. At a recent meeting of your committee it was agreed to carry out a’watching brief’ on Ham Hill by the Society. This matter was also considered at the meeting of the County Archaeological Committee who have indicated that they wculd appreciate our Society carrying out a detailed survey of this most valuable site in the absence of local professional help. Would any member willing to participate in this work please contact the Secretary who will give information on the nature of the task involved. This society, which endeavours to cover the full range of natural historyt has monthly outdoor meetings throughout the year – some months there are additional meetings, During the eight non-summer months the society also -has an evening meeting each month. Individual members of the society do not specialise, and field meetings tend towards botany and birds, while the evening rpeetins allow experts to put across specific topics as, for example, Wild Life Art, Ecology and Conservation, etc. 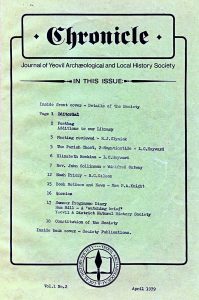 The Hon.Secretary is Mr J.G.Keylock, ‘Sunnyside’, East Street, Crewkerne, and a welcome to attend any of their meetings is extended to members of Yeovil Archaeological and Local History Society.